Evgeny Kozlov is a theatre director, choreographer and actor. 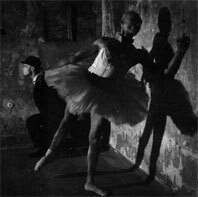 He studied visual art, classical ballet and theatre direction in St.Petersburg. Later, he continued his education in various contemporary dance and performing styles. 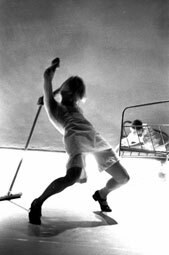 In 1987 he founded DoTheatre, developing a very individual performing direction based on the synthesis of different forms. 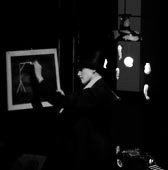 Since 1990 he has been directing and dancing in DoTheatre repertoire as well as co-producing and choreographing with: Buhnenwerkstadt (Austria), Materia Prima (France), Tatoeba (Germany), Lit Moon (USA), Fabrik e. V. Potsdam (Germany). Recent DoTheatre work includes Hopeless Games (1999), Upside Down (2001), Bird’s eye view (2003), Nonsense (2004), Sleep…less…ness (2005), Hangman (2006), Anatomy of Fantasy/ Sacred Season (2009). He also recently choreographed ‘Three penny opera’ (2002- StadtTheater Heilbronn), Kiss me Kate (2003- StadtTheater Aachen). 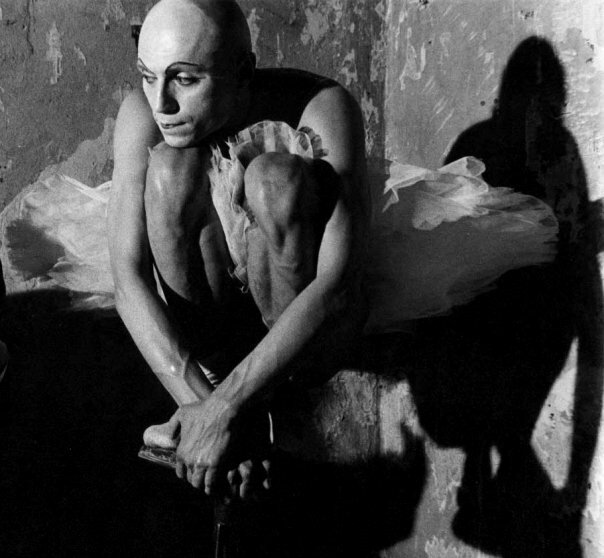 Alexander Bondarev is a dancer. He grew up in St. Petersburg and finished the Art Academy as an art critic. Since 1989- he’s a member of DoTheatre company, where he brings his individual sense of humor and unique physical quality. 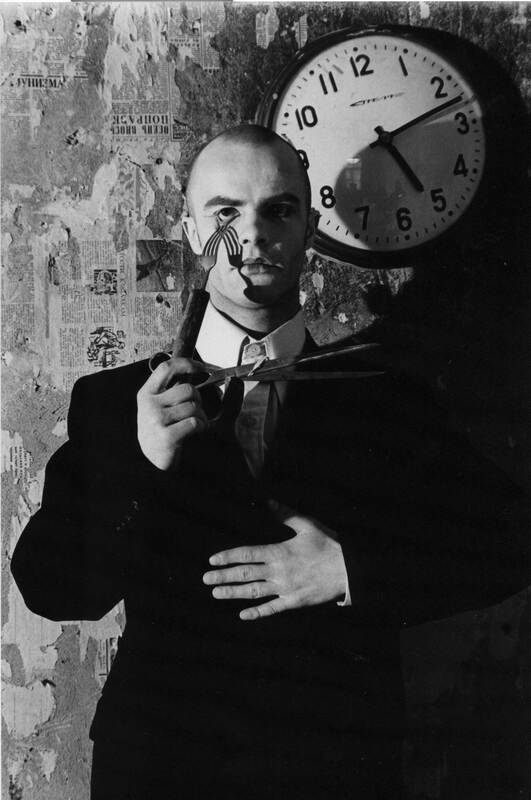 From 1990 he performs in all the DoTheatre repertoire, including award winning Hopeless Games, Upside Down and Hangman, as well as in the Bird’s eye view and Nonsense. He took part in international dance projects, like ‘TransForm’ in Dance City-96 (Copenhagen, Denmark,’Que Vadis’ (Spain), ‘Kun Kort Tid’ (Denmark), 'Telling Times' (Ireland, Germany). Julia Tokareva is a dancer who grew up in a small town in Northern Russia, a famous military spaceport. An artistic gymnast, she graduated from the Academy of Physical Culture in St. Petersburg, studied dance in St. Petersburg contemporary dance school, Ballet Academy in Stockholm and Summer School of Swing Dance (Herrang, Sweden). She organized two international swing dance festivals in St. Petersburg, made choreography for the youth musical “Neva chat” in 2002 – her first experience of theatre work. In November 2002 she joined DoTheatre Company with the piece “Bird’s eye view”. Since that time she became a member of the company, dancing in all following productions and projects. Irina Kozlova is a dancer who grew up in Leningrad- St. Petersburg and was educated as an engineer of space communication (which makes her performing style especially cosmic). She is a founding member of DoTheatre, creating numerous unforgettable images in the company repertoire. 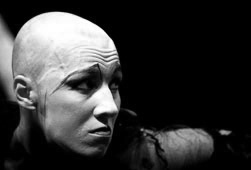 During her artistic career, she participated in many international dance –theatre projects, like ‘Pulse’ (Ireland), Telling Times (Ireland, Germany). Tanya Williams is the technical director and a visual designer in DoTheatre Company. She was born in America and from her early age had drowned to all sorts of creativities, began to play with the sand at the Florida beach and finishing with a multi media project ‘Sandbox’ in Germany. In 1988 she got first involved in the musical production “Werkzeit Story” from the Bleiberger Fabric Aachen - giving her input for the show and lyrics for the songs. Since that time Tanya Williams got into visual work- filming, editing, mastering- she done for different music bands as well her own projects. Before she continued with her artistical career Tanya gave herself a time-out for a year, exploring life in Asia, to get some new positive energy. Later in London, she worked for various music bands as an organizer and tour manager what had improved her skills in touring. Back in Germany she joined the sound department of City Theatre Aachen as a sound engineer. From November 2003 Tanya Williams became a member of DoTheatre where she brought all her artistic experience she had collected.